THE Andalucian Supreme Court has closed proceedings against Spain’s only communist mayor, Sanchez Gordillo. 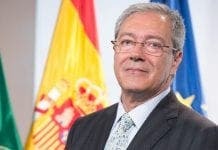 The mayor of Marinaleda, in Sevilla, was being investigated over claims he used town hall money to pay for buses to transport members of the Andalucian Workers Union to events. 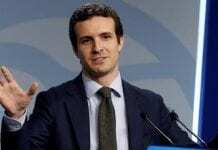 The case began after a complaint was filed by Miguel Bernad, general secretary of the Manos Limpias union (clean hands). He claimed the buses were being hired to take members of the Andalucian Workers Union to occupy publicly-owned farms and other similar activities from 2009 to early 2013. However, the examining judge, Miguel Pasquau Liano, has archived the complaint on the grounds that the ‘facts do not constitute embezzlement of town hall funds’. The court confirmed that buses were hired ‘for a variety of sporting, cultural and political or protest purposes’ and that ‘there was no framework contract between the town hall and the bus company cited’. Gordillo has famously helped to transform Marinaleda from a town with a very high poverty rate into a ‘communist utopia’, as labeled by the Guardian. Since he became mayor in the early 1990s there has been no need for mortgages and employment is reportedly almost at 100%. But he has seen a lot of media attention to his ‘Robin Hood’ style raids on supermarkets, which involve taking food and handing it out to poor families and food banks. It was a trumped-up charge anyway. It seems no-one can stand the idea that simple Socialism can lead to full employment. Putting the tag of Communism on Gordillo is attempting to put the stink of Stalinism on him. It doesn’t wash in Marinaleda. We need to support people like him, not persecute them!